As a child, Bailey Browne dreamed of a knight in shining armor swooping in to rescue her and her mother. As she grows older, those dreams transform, becoming ones of a mysterious stranger who will sweep her off her feet and whisk her away from her ordinary existence. Then, suddenly, there he is. Despite the ten year difference in their ages, her working class upbringing and his of privilege, Logan Abbott and Bailey fall deeply in love. Marriage quickly follows. But when Logan brings her home to his horse farm in Louisiana, a magnificent estate on ninety wooded acres, her dreams of happily-ever-after begin to unravel. A tragic family history she knew nothing about surfaces, plus whisperings about the disappearance of his first wife, True, and rumors about the women from the area who have gone missing-and when another woman disappears, all signs point to her husband's involvement. At first Bailey ignores the whispers, even as circumstantial evidence against Logan mounts. But finally, Bailey must make a choice: believe what everyone says-or bet her life on the man she loves, but is realizing she hardly knows. 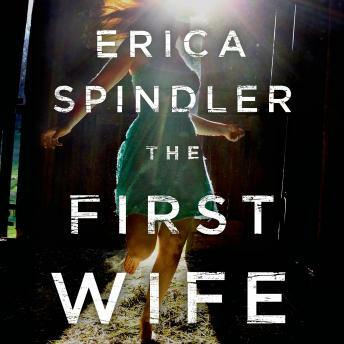 From the author of Justice for Sara, Erica Spindler's The First Wife is a thrilling new novel that will have you gasping on every page.